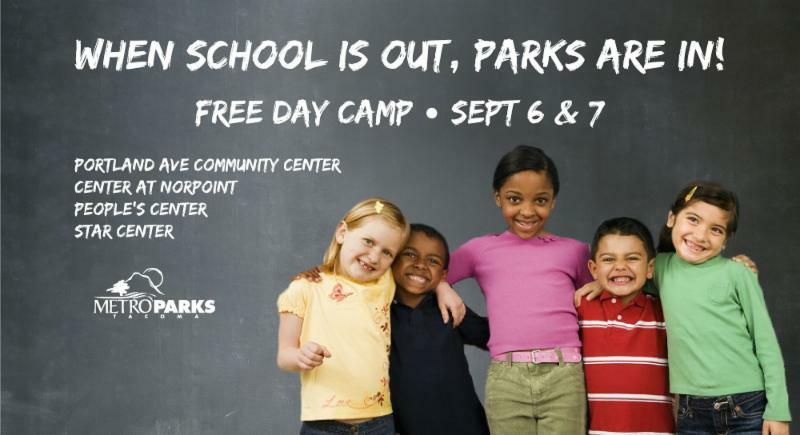 Metro Parks Tacoma’s four Community Centers will offer day camps for kids ages 5 to 12 on Sept. 6-7 if Tacoma schools are canceled. The program is free, but space is limited so reservations are required each day. Reservations can be made after 11 am on Wednesday, Sept. 5 by calling or visiting one of the community centers listed below.